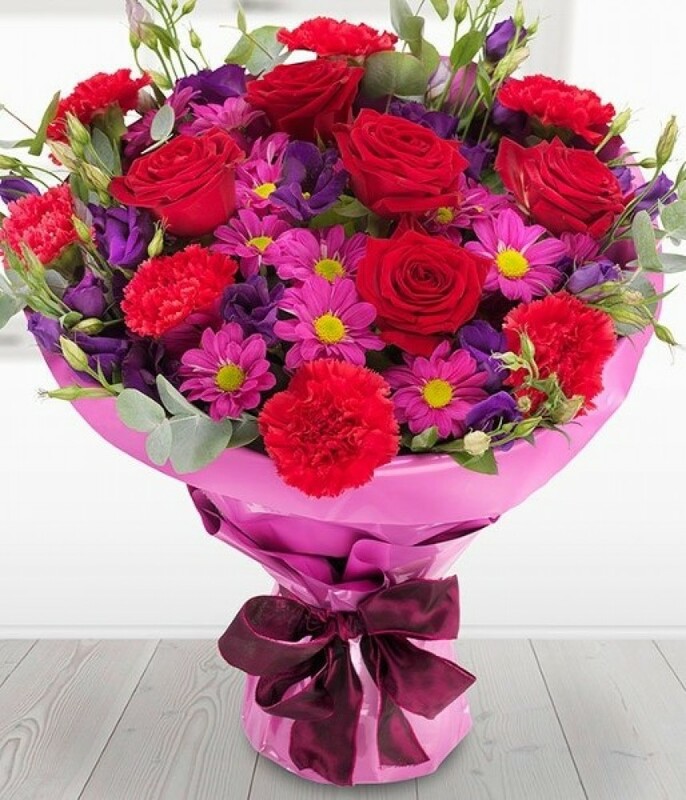 A fantastically romantic aqua pack of mixed reds, pinks and burgundy. Red roses are the star of this show, supported by chrysanthemums, lisianthus and carnations and seasonal foliage. Luxury size shown in image.